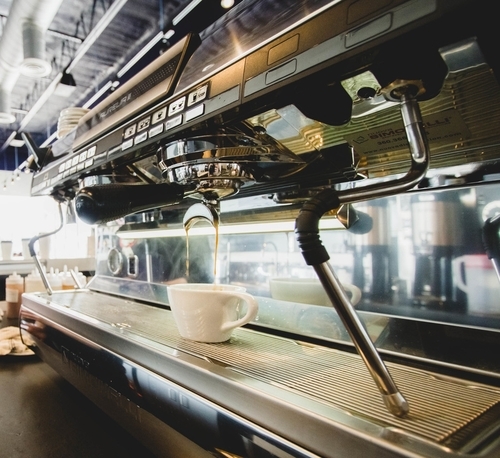 For years coffee shops in Seattle, Boston and San Francisco have been showing the love that goes into crafting a single cup of specialty coffee. Third-wave coffee is obsessed with taste and transparency. More than simply revealing the country of origin, these ‘guys’ are talking elevation, micro-lots, and artisan blends, while paying real respect to the farmers who grow and process the beans. Roast Rider Coffee + Tea is that special place where third-wave coffee and our coastal community come together as a force of nature. At RR, we celebrate the alchemy between coffee farmers, roasters and a barista. Advanced Everpure Water Filtration System: Coffee is 98% water. Ours is worth tasting in your cup, and out. Simonelli Aurelia Espresso Machine: Righteous water. Carefully ground coffee. Add one clean machine. That's our espresso. Trifecta: Dubbed "French press on steroids." Our Trifecta taps the maximum expression of flavor from any bean, and produces a single cup made right for you. Fetco: Our bulk brewer. Solid as a rock. A quick goodie.